What is a sitemap and Why Use a Sitemap for website? Also, when you have a sitemap and submit it to the search engines, you rely less on external links that will bring search engines to your site. Sitemaps can even help with messy internal links - for instance if you by accident have broken internal links or orphaned pages that cannot be reached in other way (though there is no doubt that it is much better to fix your errors than rely on a sitemap). 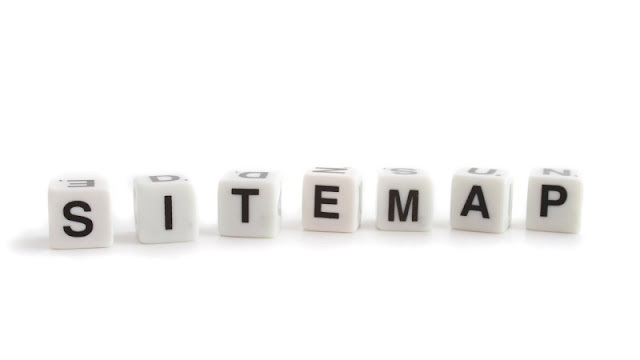 The steps you need to perform in order to have a sitemap for your site are simple. First, you need to generate it, then you upload it to your site, and finally you notify Google about it. Depending on your technical skills, there are two ways to generate a sitemap - to download and install a sitemap generator or to use an online sitemap generation tool. The first is more difficult but you have more control over the output. You can download the Google sitemap generator from here. After you download the package, follow the installation and configuration instructions in it. This generator is a Python script, so your Web server must have Python 2.2 or later installed, in order to run it. The second way to generate a sitemap is easier. There are many free online tools that can do the job for you. 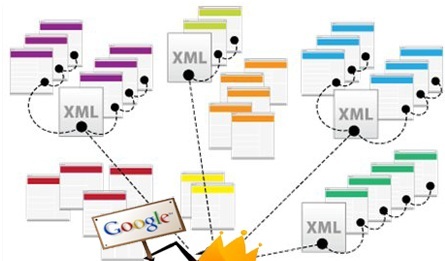 For instance, have a look at this collection of Third-party Sitemap tools. Although Google says explicitly that it has neither tested, nor verified them, this list will be useful because it includes links to online generators, downloadable sitemap generators, sitemap plugins for popular content-management systems, etc., so you will be able to find exactly what you need. After you have created the sitemap, you need to upload it to your site (if it is not already there) and notify Google about its existence. Notifying Google includes adding the site to your Google Sitemaps account, so if you do not have an account with Google, it is high time to open one. Another detail that is useful to know in advance is that in order to add the sitemap to your account, you need to verify that you are the legitimate owner of the site. Currently Yahoo! and MSN do not support sitemaps, or at least not in the XML format, used by Google. Yahoo! allows webmasters to submit “a text file with a list of URLs” (which can actually be a stripped-down version of a site map), while MSN does not offer even that but there are rumors that it is indexing sitemaps when they are available onsite. Most likely this situation will change in the near future and both Yahoo! and MSN will catch with Google because user-submitted site maps are just a too powerful SEO tool and cannot be ignored. You can learn how to create indices and more about sitemaps at sitemaps.org. After you’ve created your sitemaps (and potentially sitemap indices), you’ll need to register them with the various search engines. Both Google and Bing encourage webmasters to register sitemaps and RSS feeds through Google Webmaster Tools and Bing Webmaster Tools. Taking this step helps the search engines identify where your sitemap is — meaning that as soon as the sitemap is updated, the search engines can react faster to index the new content. Also, content curators or syndicators may be using your RSS feeds to automatically pull your content into their sites. Registering your sitemap (or RSS feed) with Google and Bing gives the search engines a signal that your content has been created or updated before they find it on the other sites. It’s really a very simple process with both engines. Log in to Bing Webmaster Tools. ||ੴ||ਇੱਕ ਓਅੰਕਾਰ Satnam Shri Waheguru Ji A Web Blog about Product Review, Blogging Tips, Tech Reviews: What is a sitemap and Why Use a Sitemap for website?